Tandoori bread or Tandoori Roti is one of the basic breads baked in the tandoor. 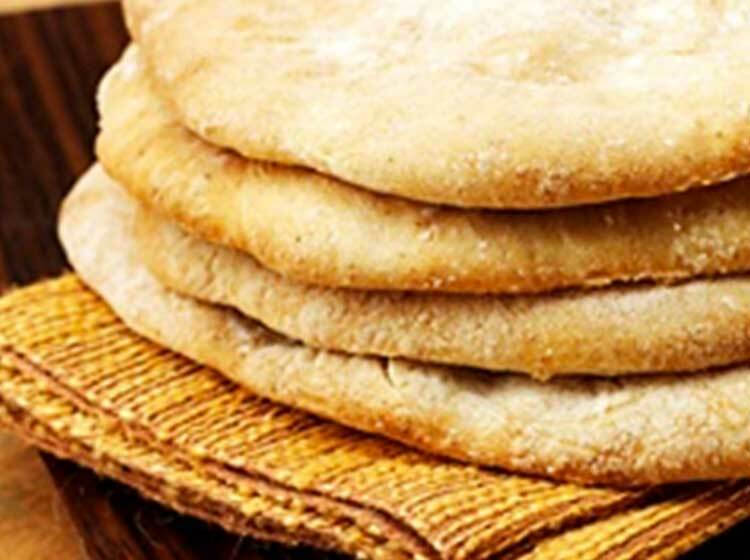 The original recipe is unleavened, and nothing other than plain water is used in the dough. In an ideal world it should be eaten as it comes off the oven. As my approach to recipe-writing is always more towards the practical side, I amended the recipe so that you can enjoy it hot or cold. Put the flour, salt, sugar and yeast into a large mixing bowl and mix well. Beat the oil and yogurt together and rub into the flour. Gradually add the soda water and mix until a dough is formed. Do not worry if the dough feels sticky at this stage. The flour will absorb all the excess moisture when you finish kneading. Transfer the dough to a pastry board and knead until it is soft and springy and does not stick to the board any more. You can also make the dough in a food processor if you wish. It is important, however, to mix the dry ingredients first. Put the dough in a large plastic food bag and tie up the upper-most part. Place the bag in a warmed bowl and leave the dough to prove in a warm place for 1-1½ hours. Pre-heat the oven to 230ºC, 425ºF, Gas Mark 8. Line a baking sheet with greased grease-proof paper or baking parchment. Divide the dough into 8 equal sized portions. Rotate each portion between your palms to make a smooth round ball, then flatten it to a round cake. Dust it in a little four and roll it out to a 10cm disc. Place in the prepared baking sheet and bake on the top rung of the oven for 9-10 minutes or until puffed and browned in patches.